This is one of rock FM's voucher deals but this really is a good value, i think you pay an extra £6 per person for the hyperzone bit with the master blaster water coaster etc but not 100%, its simply because the family ticket on the sandcastle web page is £45, then you you pay for hyperzone on top. still, cracking price for a full day of entertainment. my kids were asleep all the way home last time we went! Hot but so far away :- / Anything like that around London? 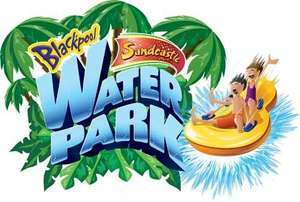 Just went on Sandcastle's website and it's £25.80 for 2 adults (£12.15 each plus £1.50 booking fee). The Rock FM website says the voucher allows up to 2 adults and 2 children for £22.50, so I guess the deal still works if you're not a family of 4? What do u get for £6 in the hyper zone ?? Hyperzone wristband get's you access to the main 3/4 slides, all other are available without one! nasty place to go in any weather???? its a great day out. specially when it costs £6 per adult just to go to most local public pools!! cracking day out that can't be spoilt by the weather. went for the second time last year, is it me or have they changed the masterblaster? I'm sure the end used to be one long continuous fast slide down to the end and now they have put a kink in the middle to slow you down. Have they? I havent been for ages coz both our boys have only just learnt to swim but last time i did the master blaster it turned me round and i did it backwards! I noticed it turned most women round! Stomach flip! Lol!